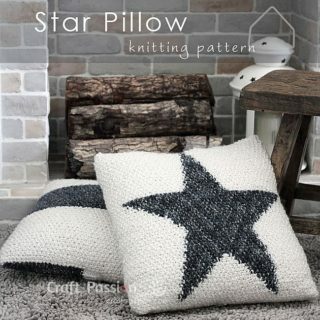 There are many things we love about winter, but perhaps one of our very favourite things is the feeling of curling up in a warm, cozy blanket to read a good book when the weather is too cold to go out. There’s just something so satisfying and relaxing about that quality reading time that makes us appreciate the snow a little more. 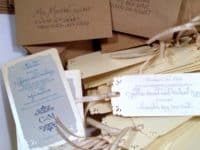 Our whole family are book worms as well, so we’ve found over the years that homemade bookmarks make great little winter gifts and favors. 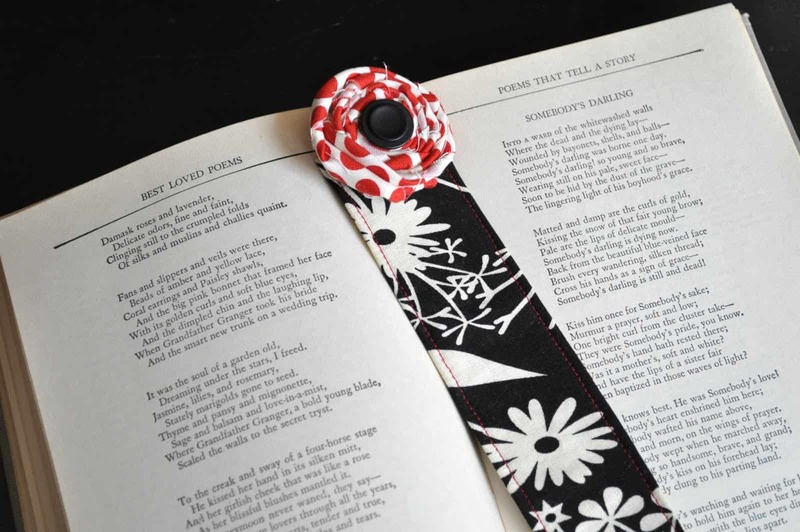 Just in case you like the idea of making your own DIY bookmarks just as much as we do, if not more, here are 15 of the cutest ideas that we’ve seen in our endeavours! 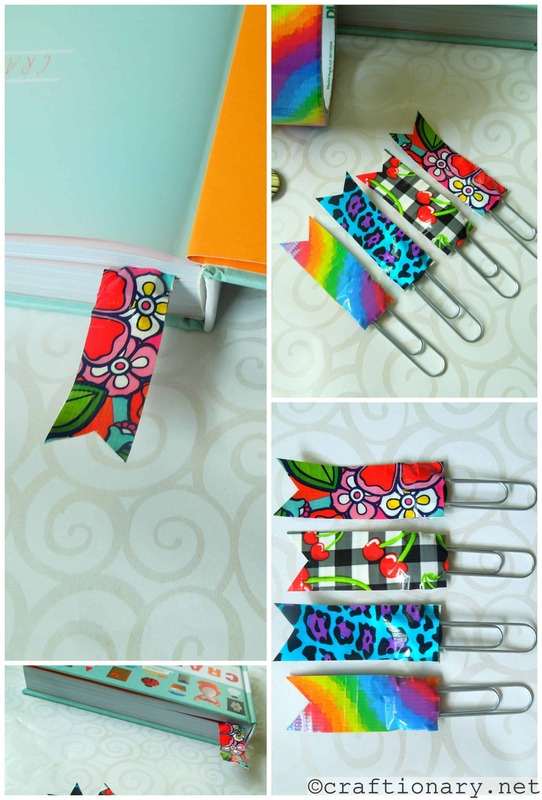 Are you looking for a super fun bookmark idea that will appeal to your kids and make them feel excited to use it? 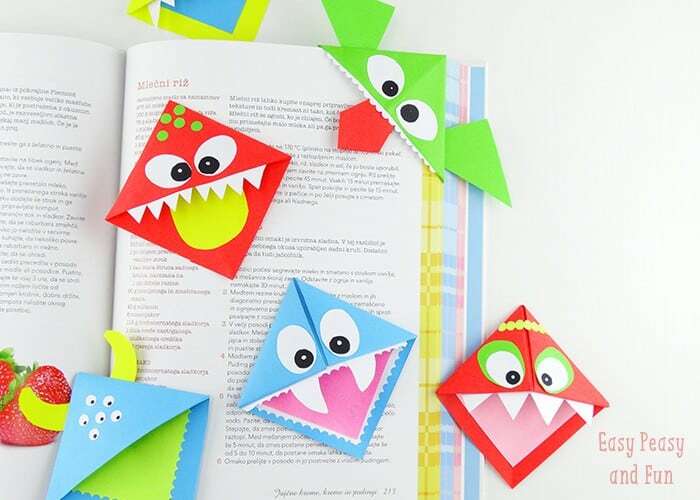 In that case, we think you’ll get along very well indeed with this fantastic little monster corner bookmark design featured step by step on Easy Peasy and Fun! They’re simple enough for your kids to help make and the finished product looks like the monsters are biting down on your page. 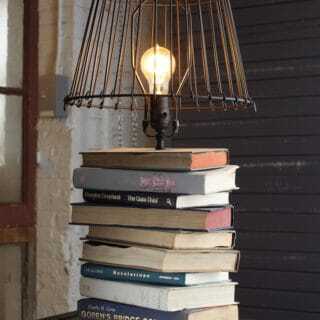 Are you the kind of busy on-the-go reader who is always putting your book into a bag where it might get jostled around? 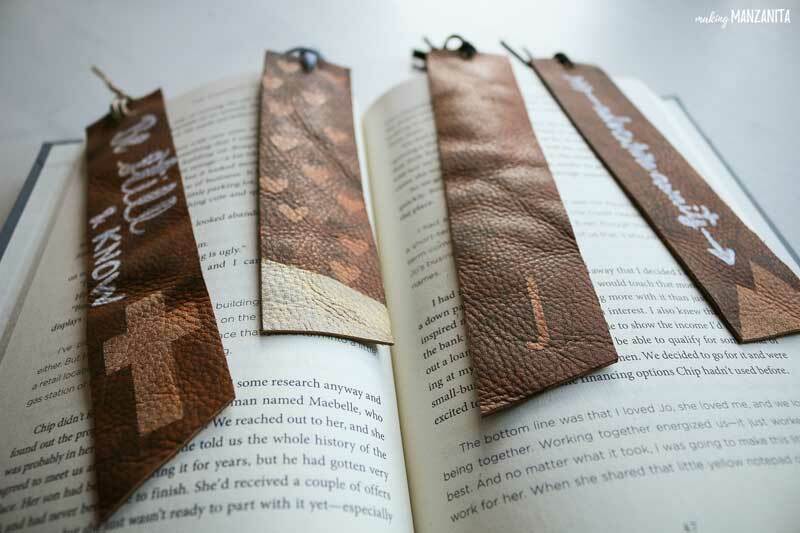 In that case, we’d suggest making yourself a bookmark that will stay put a little better so you don’t lose your place! 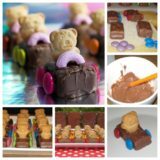 Check out how Modest Munchies Mummy made these cute magnetic bookmarks from scratch. 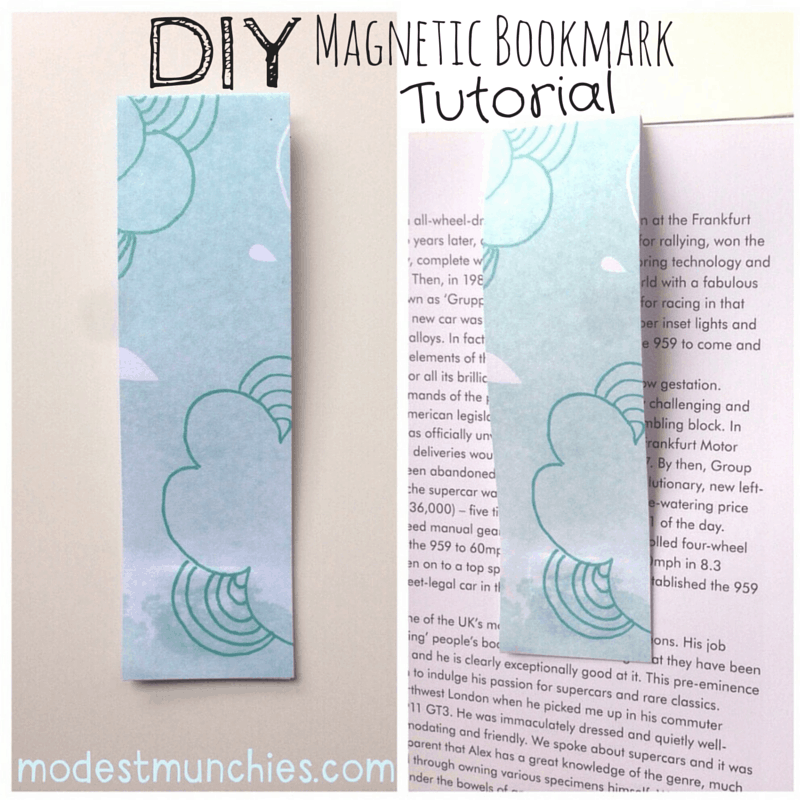 Have you always found that your bookmarks don’t last very long because they’re always getting worn and torn around the edges and near the corners? 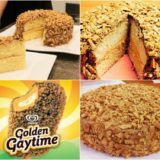 Then maybe you’d have better luck making one that’s encased in plastic for more durability! 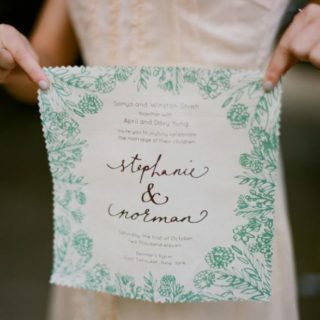 Check out how Honey Pot Studio custom printed theirs and then made the sleeve and fastened the two with a looped ribbon. 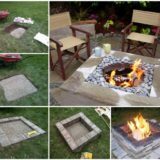 Are you looking to mark several pages at once, like in a book of recipes or a study textbook? Then maybe you’d get along better with something small and quick. 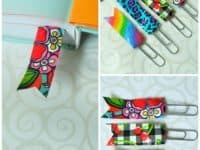 We love the way Craftionary used differently coloured and patterned duct tapes to jazz up paper clips that will mark the pages very easily indeed. 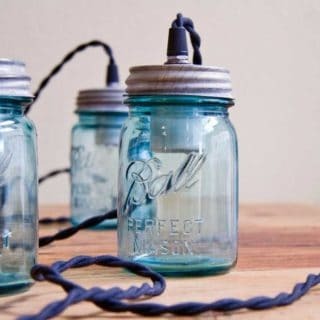 If you’ve ever done the simple wire bending required for jewelry making before then you already know how much fun it is and how quickly this project will go! 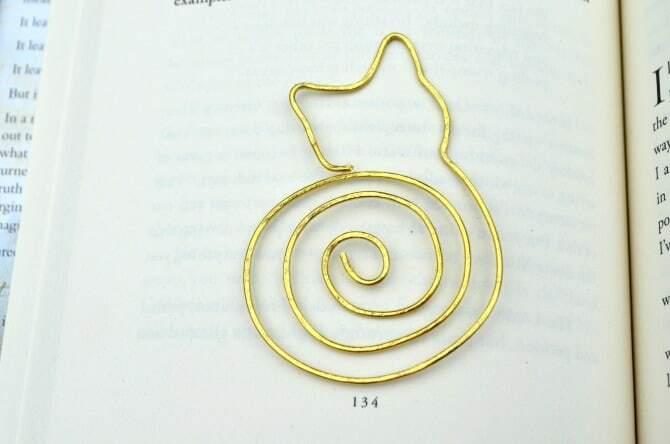 We’re in love with this adorable design for cat lovers and the way the pages fit between the pieces of the spiral. 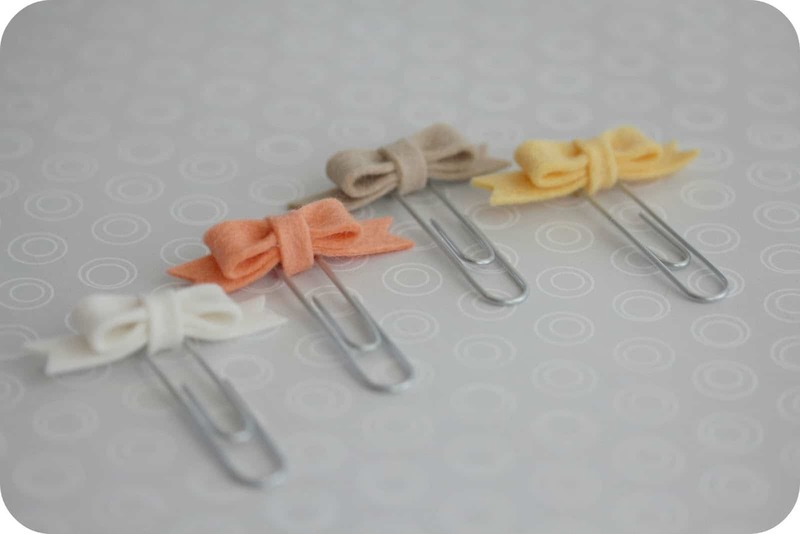 Get the full details for making a kitty paperclip bookmark on True Blue Gifts. 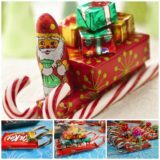 Are you actually looking to make several bookmarks rather quickly because you’d like to use them as Christmas party favours but you want to keep the materials cheap too? 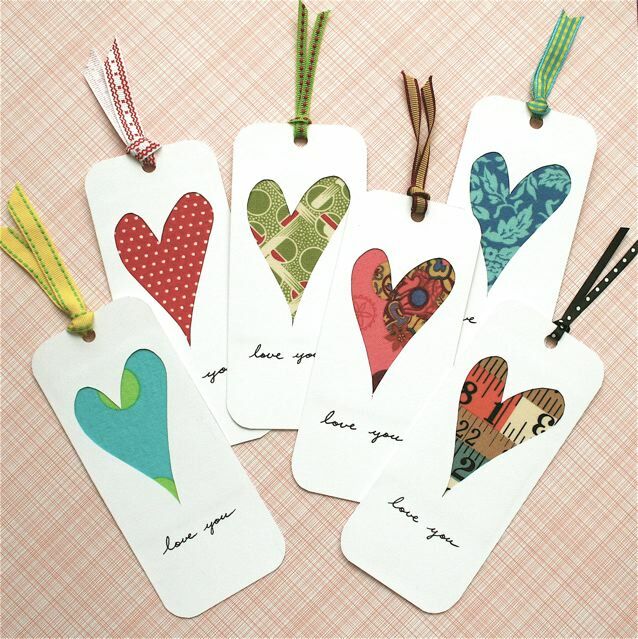 In that case, we’d definitely suggest taking a look at how Mmm Crafts made cute heart cut-out bookmarks from paper, ribbons, and scrap fabric to customize the hearts. 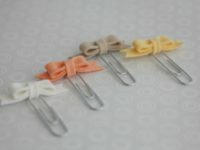 Were you a really big fan of the paperclip bookmark idea but you have a little more time on your hands and you’d like to create something cute and delicate looking? In that case, we think these adorable felt bows might be a little more up your alley! 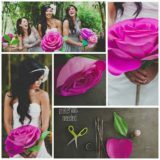 See how they’re folded and fastened on Little Lovelies by Allison. 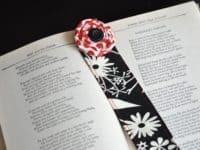 Just in case you loved the idea of a bookmark that stays put a little better but you’d like to make it now and you don’t have any magnets to work with, take a look at this idea that wraps around the whole page and cover instead! 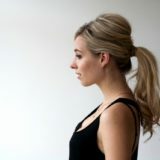 The Princess and Her Cowboys shows you how it’s made using ribbon, a button, and a hair elastic. 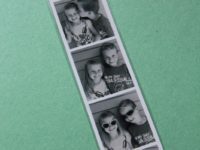 Are you convinced that your kids will be more encouraged to use a bookmark if it has something to do with toys or play? 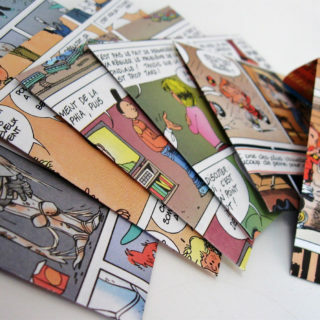 Perhaps you’re just feeling nostalgic and kitschy and want to make a toy themed bookmark for yourself! 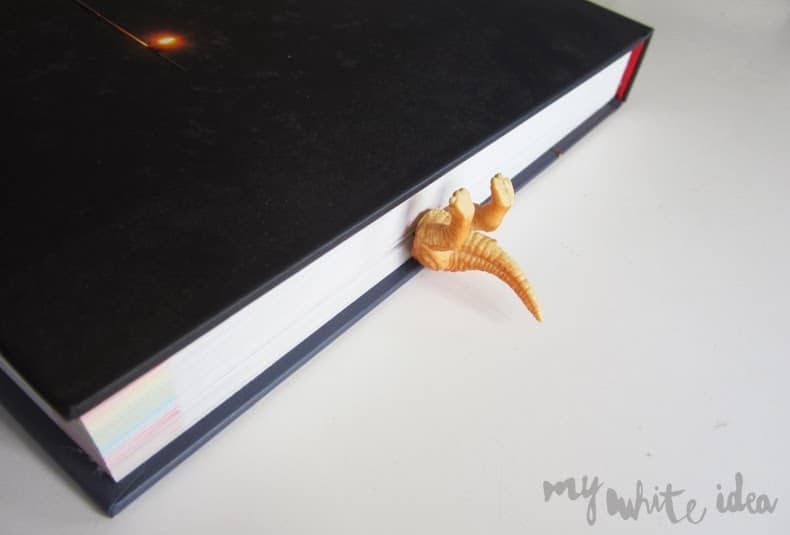 Either way, this hilarious halved dinosaur idea from My White Idea DIY that looks like a dino got closed in your book might be the perfect idea. 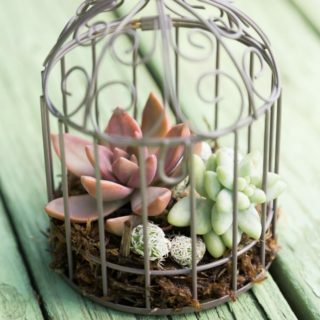 Are you the kind of very skilled crochet enthusiast who is always looking for small trinkets to make so you can share your skills with your friends? 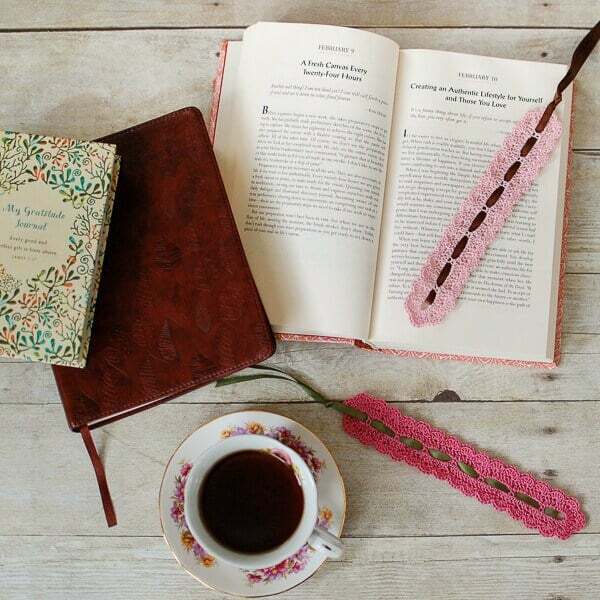 Well, if you’ve ever enjoyed creating lace patterns, then we’d definitely suggest taking a look at how Petals to Picots created this lovely crocheted lace bookmark pattern and wound a pretty contrast ribbon down the centre. 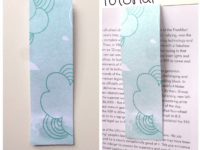 Just in case sewing is your favourite method of DIY rather than yarn works but you’d still like to make a soft materials bookmark, here’s the tutorial for you! 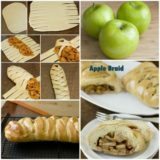 Check out how Skip to My Lou made a simple strip with neatly finished sides and a lovely little spiralled rosette at the top with a button for the centre. 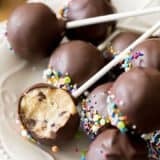 We’ve talked a little bit about using DIY bookmarks as party favours, but what if you’d like to make something a little fancier looking? 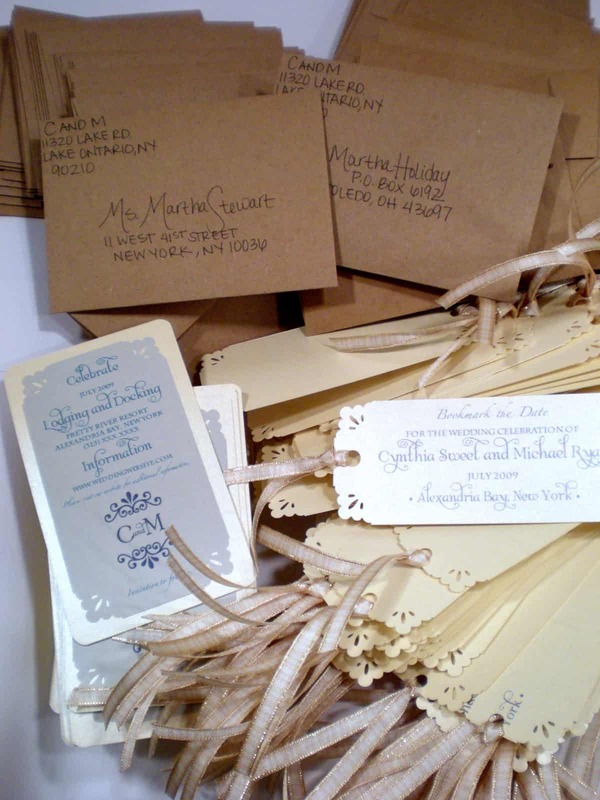 Then we’d suggest taking a look at how Elizabeth Anne Designs made bookmarks to mark a special occasion using lovely ribbons, eyelet hole punched corners, and their calligraphy skills. 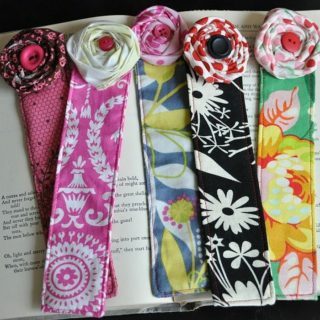 Do you know someone whose sense of style is a little more old fashioned or nearly rustic and you’d like to make them a bookmark to suit? 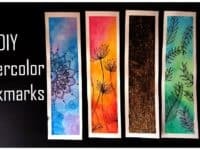 Then we’d absolutely suggest taking a look at how Making Manzanita created these custom stained and painted bookmarks from leather strips! 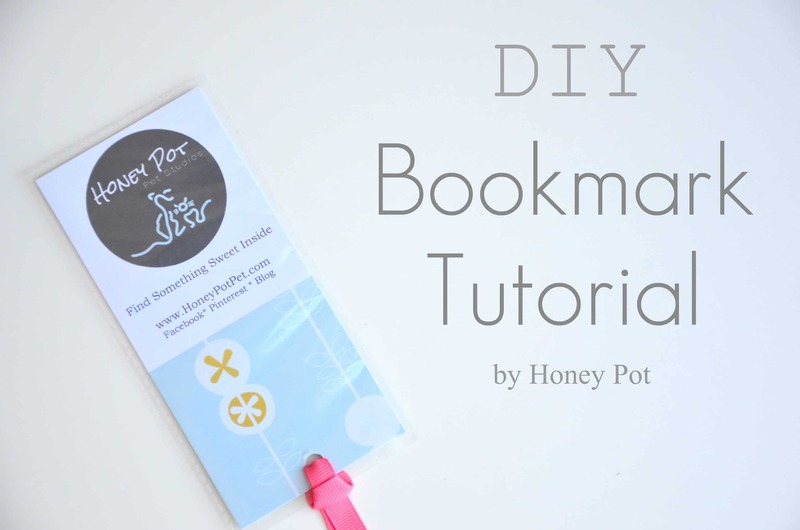 If you’ve got access to a laminator at home or at work, then you’ve got almost everything you need to make an amazing bookmark no matter what you decide to laminate! 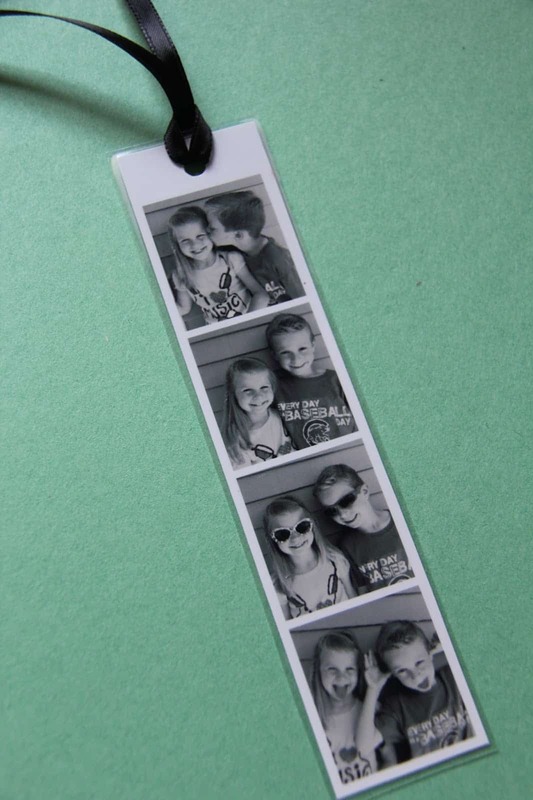 Of the options, our favourite might be this fantastic idea from Sometimes Creative for turning the results of a classic photo booth shoot into a durable plastic bookmark full of memories. 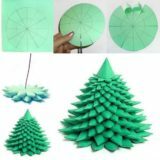 Perhaps your best crafty skills actually lie in the painting department rather than crochet, sewing, or simple cut and paste? 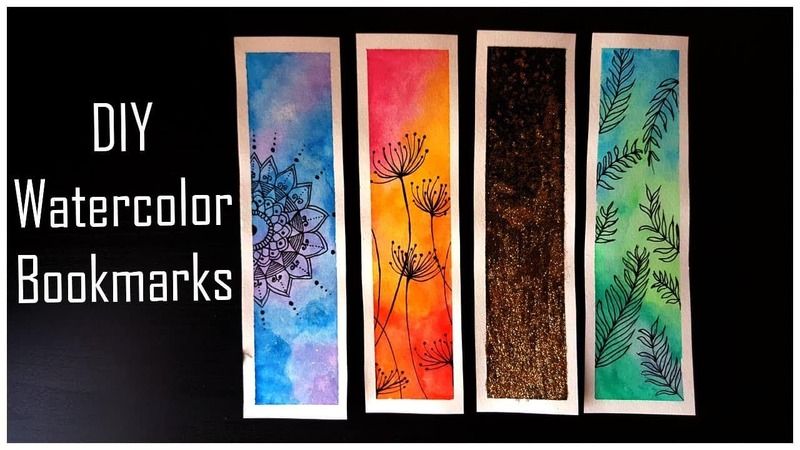 In that case, you just might be the perfect person to create these stunning custom watercolour painted and fine liner illustrated bookmarks outlined step by step on Candy Brush!